Springfield XD pistol. Run Time: 35 Minutes For ARMORERS and NEW SHOOTERS alike… This DVD is based on the 9mm version of the XD line of pistols but will directly relate to the other available calibers. 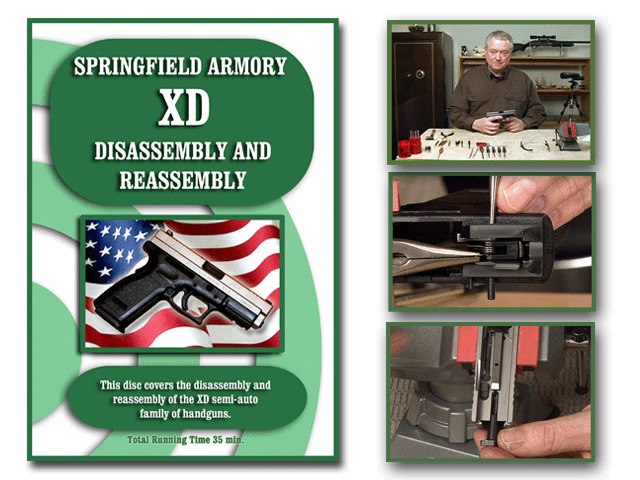 This DVD will illustrate the proper procedure to field strip or completely disassemble and reassemble your firearm as well as clean and lubricate your XD with confidence. On-Target’s DVDs are digitally produced and provide clear and concise instructions. We at On-Target take great pride in the up-close videography of each DVD.